Decorella: And so it begins! 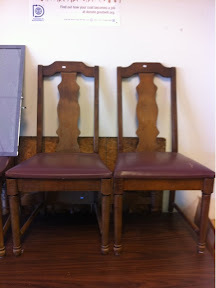 This is my first of hopefully many furniture restoration and modernization projects. I picked these up from Goodwill for $6 a piece, I think that's a steal! Stay tuned for what happens!